Initial Coin Offerings (ICO) offer an attractive, alternative form of fundraising, harnessing cyber currencies instead of approaching banks and VCs. 2017 saw more than 200 ICOs raise a combined total of over $3 billion as early-stage startups, and investors have jumped in with two feet. However, while the prospect of raising money without having to sign your life away to bankers, or enter the VC ‘shark tank’ may make early stage startups’ mouths water, companies raising through ICOs still have to convince individuals to invest in their projects. And with the Securities and Exchange Commission (SEC) having charged a number of companies with defrauding investors with bogus ICOs and multiple well-publicized cases of ICO scams, this is becoming more challenging. Your website is the gateway to your company, and the first touchpoint for any interested potential investors, partners, or journalists that want to cover your story. No one is going to trust a company with a website which looks like it was created in high school computing class, so make sure design is on point, and content is spellchecked and professionally written and presented. One of the main pulls of this type of fundraising is that it’s open to the general public, not just veteran investors. So regardless of how complex or technological your offering is, general audience readers need to be able to digest whitepapers, and relevant information without being turned off by scrolls of complex business terminology and jargon. The investor is effectively investing in the potential success of your product, so your website should explain exactly what your product or service is and does in a clear, concise manner, preferably using video resources to demonstrate case uses, even if the product is still in prototype phase. According to a 2017 study by HubSpot, embedding videos in landing pages can increase conversion rates by 80 percent, and 90 percent of customers reported that product videos help them make purchasing decisions. While your product is super important, more often than not, it will be the big mission your company is trying to solve which is the most engaging. Think Elon Musk, he hasn’t colonized Mars just yet, but he has convinced millions of people to buy into his dream by demonstrating he is on the right path. Use your messaging to explain the major problem you aim to solve for millions of consumers around the world, and then use your own research and data to show them you are on the right path to accomplishing your aims. It’s important to amplify the problem you are trying to solve, however, to really get people invested in your mission and convince them it’s more than just hot air, you need to create a product roadmap. A product roadmap is a detailed plan that partners short-term and long-term business goals with specific technological solutions to help achieve those goals. This is where companies need to demonstrate how far they are on their mission, by providing infographics, studies, and testimonials that show their current product is market viable and, thus, potentially profitable. Potential investors should walk away from your homepage clearly envisioning how their money will be used, and the potential for return. 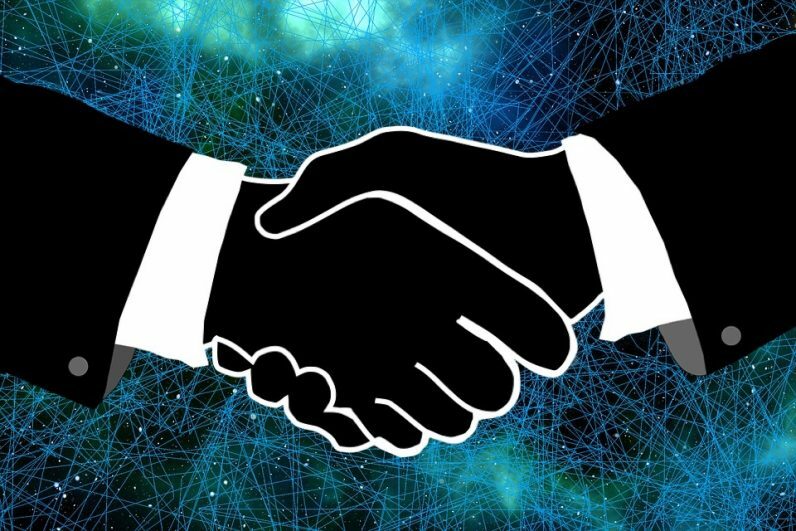 Due to the high risks of scams and bogus ICOs, companies need to work hard to convince potential investors they’re trustworthy straight off the bat. Much of this will come from the effective demonstration of how ‘groundbreaking’ their product is, and how far they have advanced on their product roadmap. However, companies also need to show that their team, and company as a whole, can be trusted. People trust people they trust, so information about the founders, the team, and any notable mentors, investors, or partners should be clearly displayed on the website, and include links to LinkedIn profiles. If your company has been part of an accelerator program, or incubator, or won any prizes, these should also be mentioned too. Tying yourself to a big name like 500 Startups, or Microsoft Ventures offers social proof from the outset. Rather than brushing risks under the carpet, companies should address concerns by offering information about tokens, the level of security and guarantees offered to investors, how your foundation is registered, and any leading investors who have already come onboard. Also, offer a clear FAQ section where you address common questions and concerns from previous visitors to the site. Content should be available in a range of languages, and bilingual customer service staff — or bots — should be available to deal with any client questions or concerns. One of the main roadblocks is that most people don’t fully understand how blockchain works, and the benefits of investing in an ICO. As such, companies need to offer the right content which pushes forward the discussion, offering real information and value to the reader, rather than just PR fluff. Encourage your team to create as much high-quality content as possible for your company blog and sites like LinkedIn and Medium, but also pitch to leading publications which accept guest contributions. Every time you publish an article, link to this content on your website and include a ‘Featured on’ section on your landing page, which can drive viewers to these pages. To stick your head out from the crowd, it’s also important to put some resources behind SEO, as a poor search engine positioning can drastically reduce visibility limiting the success of your launch. If your web page, high-quality blogs and thought leadership articles are positioned high on Google’s results, it will increase visibility and consumer trust. Google Search Console and Semrush are great free tools to optimize your website for SEO purposes and to highlight keywords to include in text and content. ICOs offer an excellent opportunity for startups to raise funding, without having to hand over the reins of control to VCs or corporate partners. However, with many well-publicized cases of ICO fraud floating around online, companies need to go the extra mile to bring investors onboard. When planning ICO digital marketing strategies for 2018, startups first step should be to ensure that they’re showing the best versions of their dream, their product, and their team online.